Previously run long block, recently freshened up. 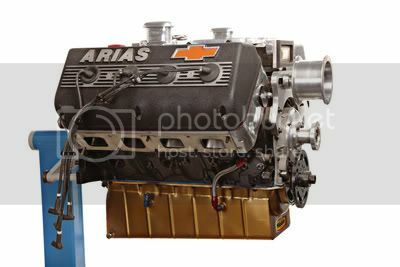 Nick Arias Jr. BB-AH Blown Alcohol 509", manifold to pan. This combination is suitable for Drag Racing (sand, asphalt, marine) or Pulling applications. Five quarter-mile passes since rebuild.